In the wild, coyotes hunt small mammals like mice, voles, and ground squirrels. It's great fun to watch coyotes at work in the winter months, when they use their keen sense of hearing to detect prey under the snow. Yesterday I had the chance to photograph a coyote as it trotted along a nearby trail in the Upper Geyser Basin. 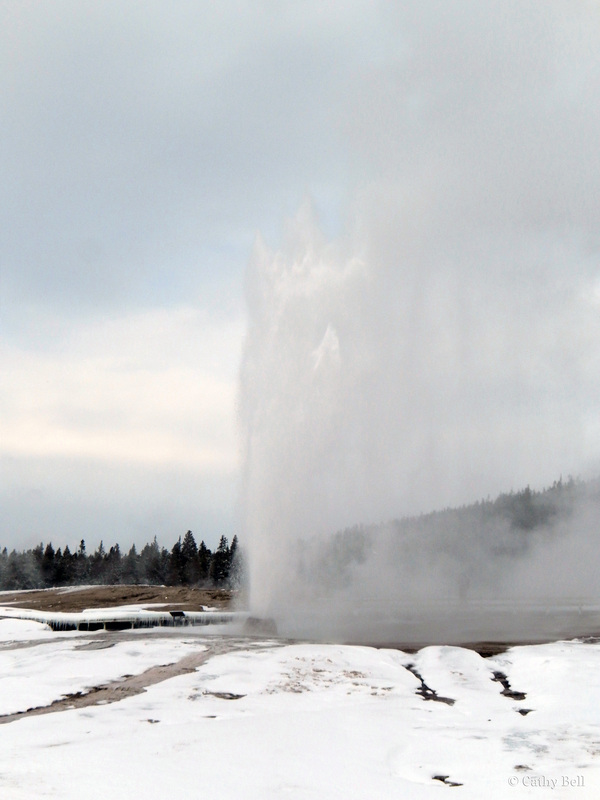 Could there be any better way to start a new year than by spending January first in Yellowstone?